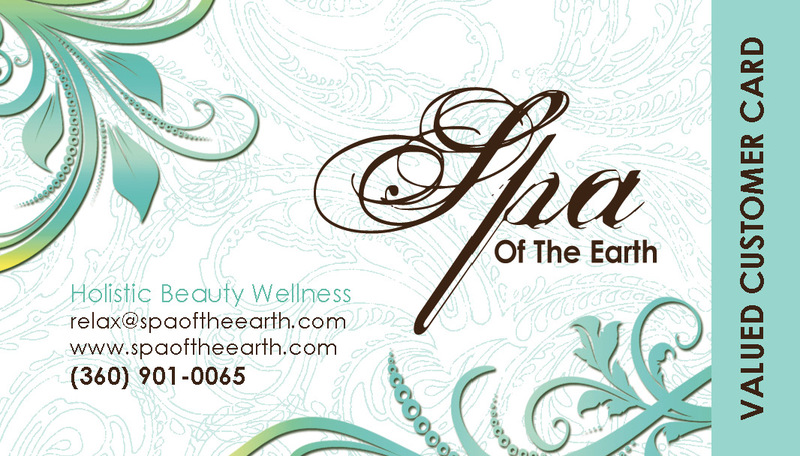 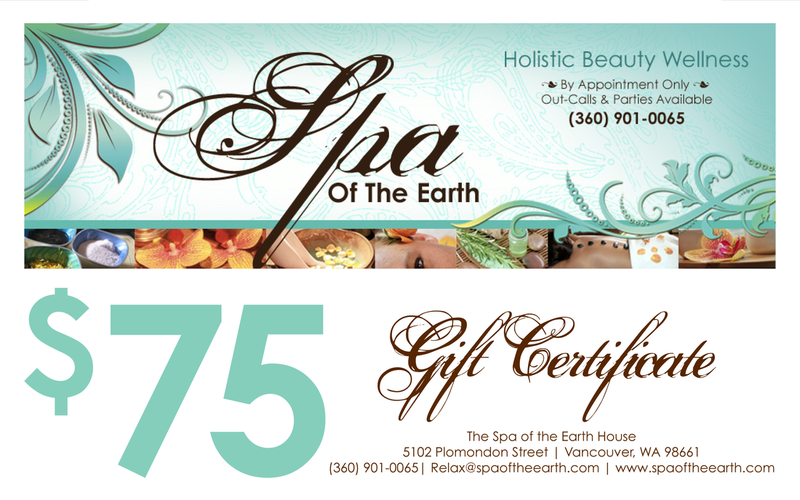 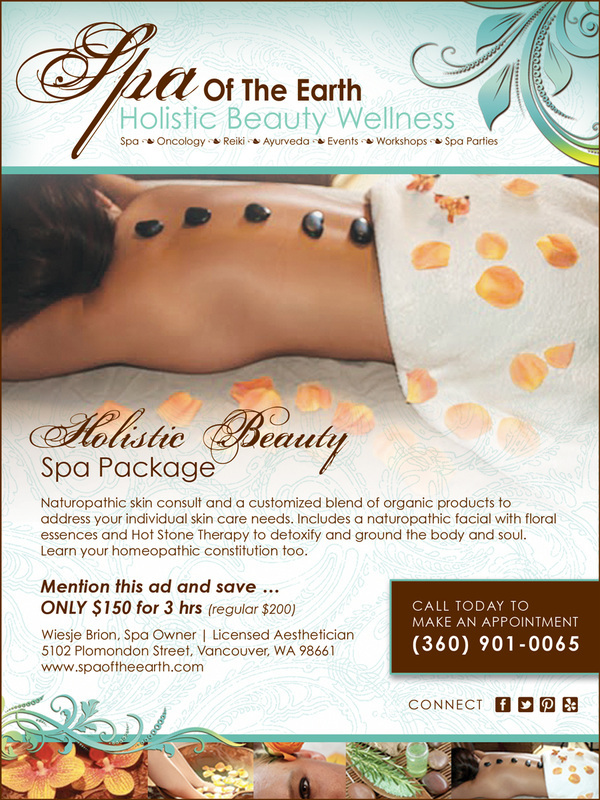 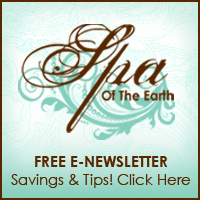 Spa Of The Earth - Shiela Strubel Design - Strubel Studios, Inc. 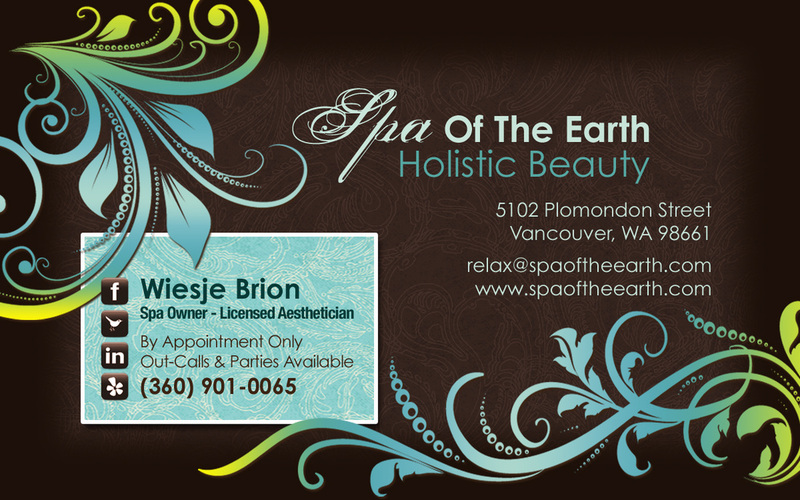 Challenge: Wiesje with Spa Of The Earth, was a newer company and had a website and a couple other marketing pieces, however there was not a consistent brand. 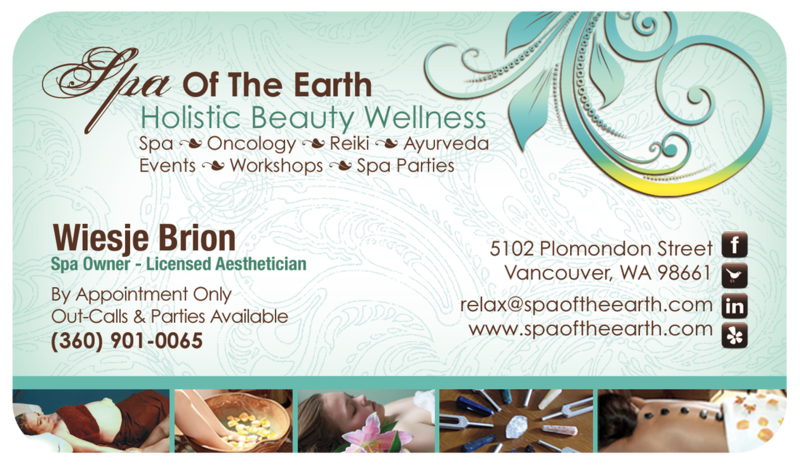 She also wanted to increase her clientele. 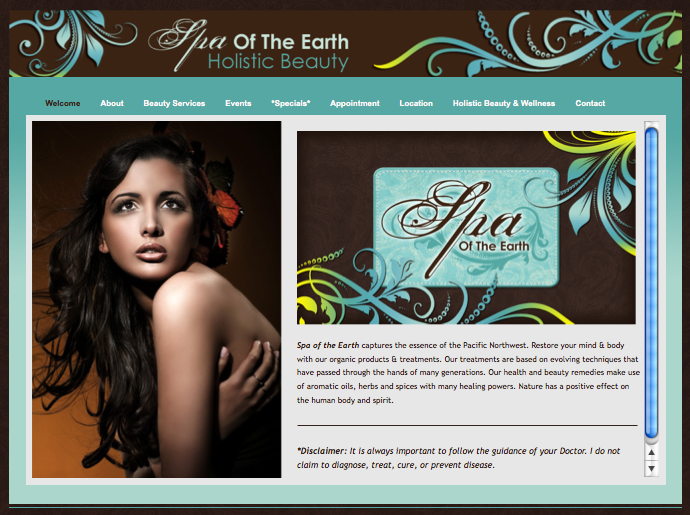 Solution: We created a branding strategy and social media awareness. 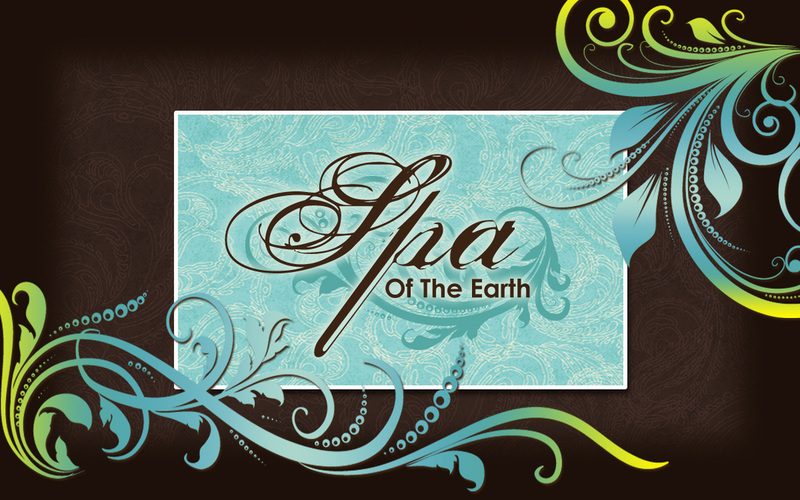 Strubel Studios created a Logo, Business Card, Customer Stamp Card, Gift Certificates, Print Ads, Email & Blog Headers, Website, Social Media Design (Facebook & Twiter) and Outdoor A-Frame Signs for Spa of the Earth. 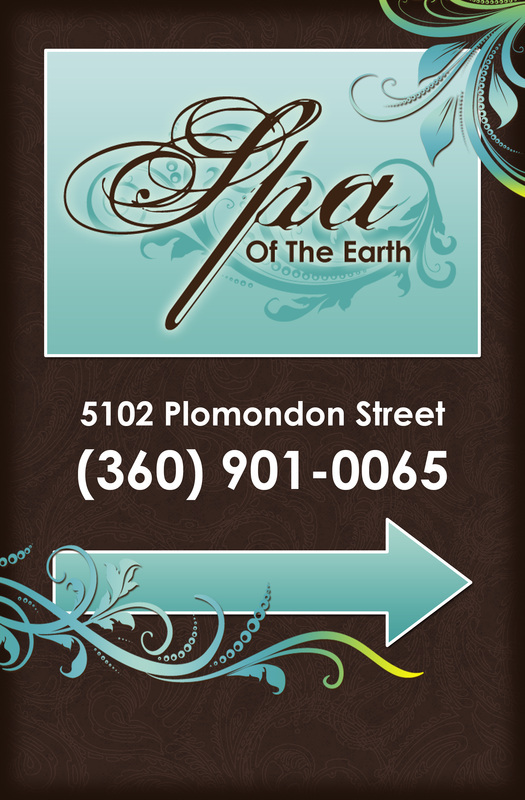 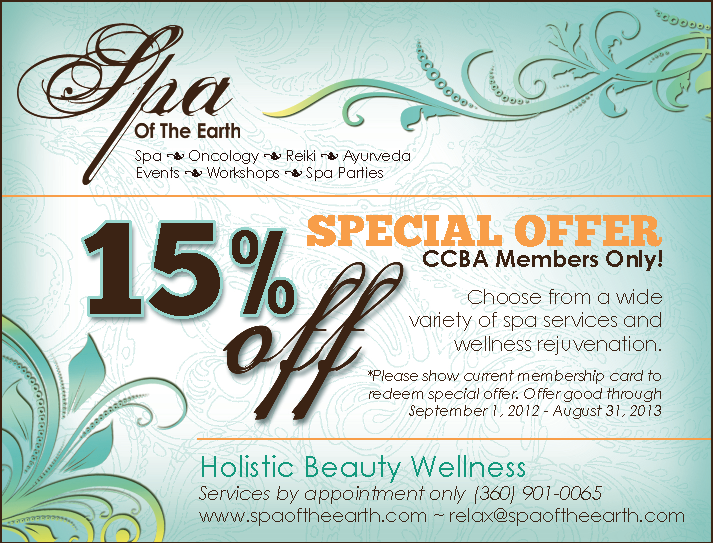 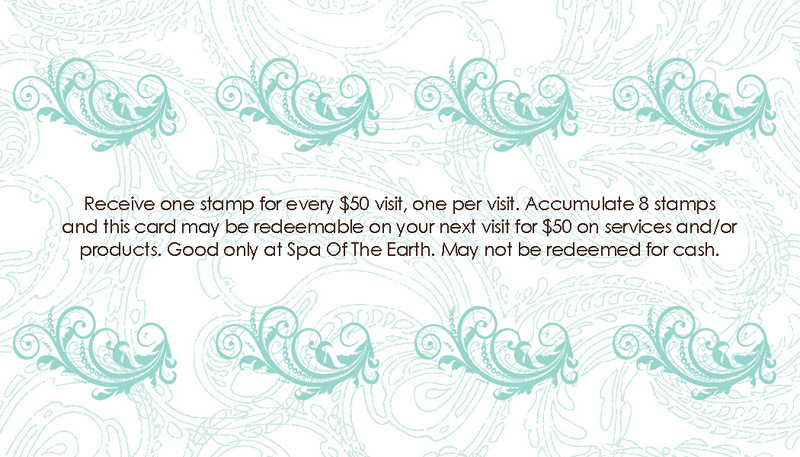 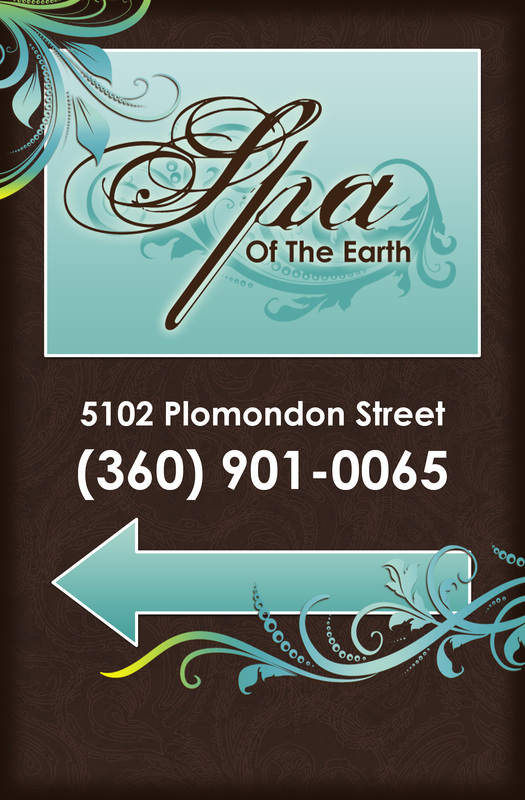 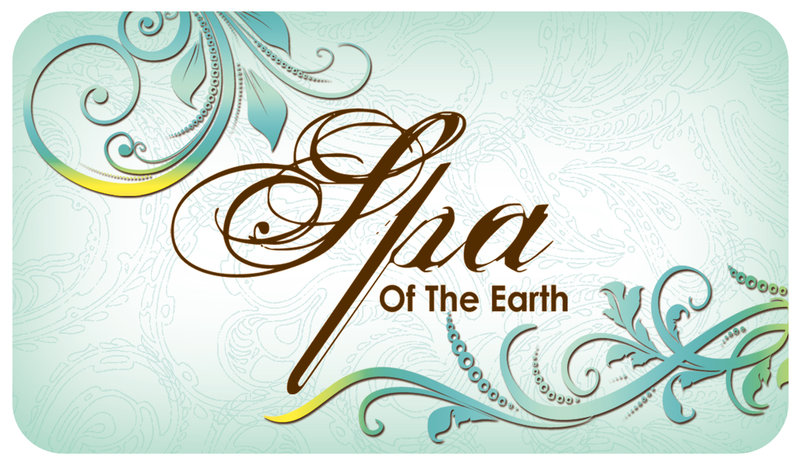 Result: Spa Of The Earth’s business has increased by 40%. 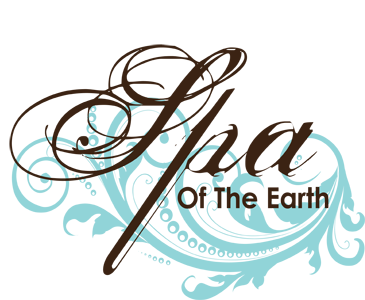 And their brand is coherent across the board.